Marcia Hawley Barnes is a Georgia writer and poet. In 2008, while living near the Ocmulgee swamp in middle Georgia, an unusual-looking duck visited her backyard. Other animals and birds, mallards, heron, geese, rabbits, beavers, and turtles also made an appearance from time to time, and the story of Tobijah began. 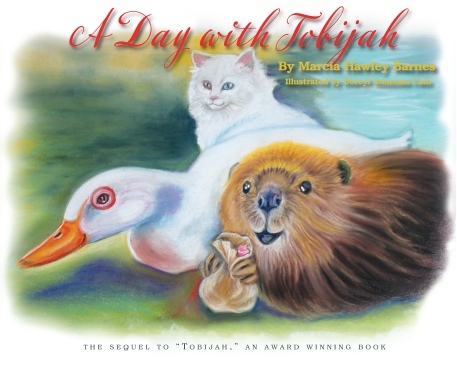 In 2017, the Georgia Writers Association awarded Ms. Barnes the Georgia Author of the Year Award in the Children’s Book Category for “Tobijah.” In the sequel, ”A Day with Tobijah,” the adventures of Tobijah, Max, and their friends continue near the thicket and the swamp.